1.Inflation?? Another Trump Election Rally Corrects Itself….Commodities Give Back All Gains Since November. 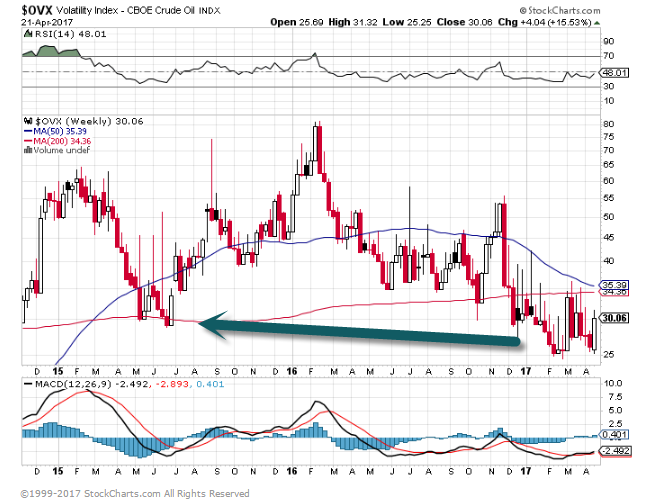 CRB Commodities Index back to November prices….50 day thru 200day to downside. 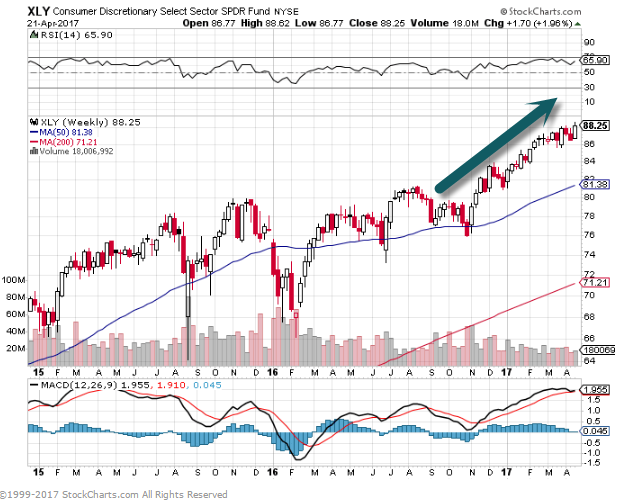 2.Meanwhile….Consumer Discretionary and Consumer Staples Making New 52 Week Highs. 3.Energy Corrects Entire Trump Rally. 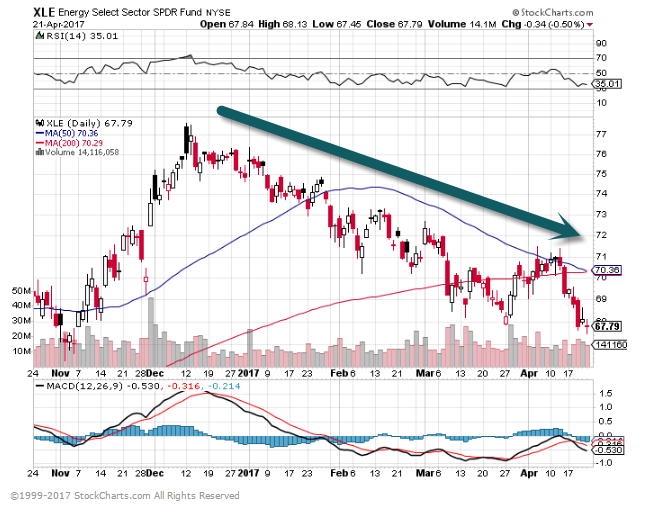 XLE Energy ETF 50day about to cross below 200day. Oil volatility breaks below 2015 levels. 4.Current Recovery Not Strong Enough to Generate Inflation? 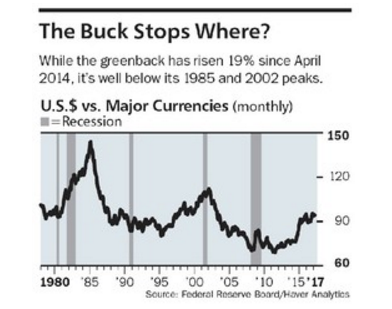 5.How Strong is the Dollar? 6.Technology Sector Separates from the Pack in Earnings Beat Rates. 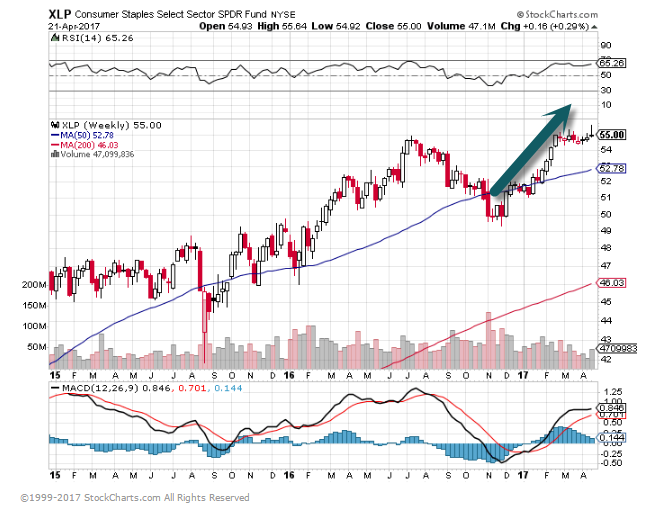 We’re now right smack dab in the middle of earnings season, so today we wanted to highlight a couple of interesting sector trends we’ve recently identified. Thanks to our Interactive Earnings Report Database, we have a list of every single quarterly earnings report for US stocks going back to 2001. For each report, we know whether the stock beat or missed consensus earnings and revenue estimates and how the stocks performed. Using our database, we track the rolling 3-month earnings beat rate for all US stocks. This shows the percentage of companies that are beating consensus analyst earnings per share estimates over time. We also track the rolling 3-month earnings beat rate by sector. Below is a chart showing the rolling 3-month earnings beat rate for all US stocks compared to just Technology stocks. As you can see, from 2002 through 2009, the earnings beat rate for Tech stocks generally tracked the beat rate for all stocks. But during the current bull market that began in early 2009, we’ve seen Tech stocks separate from the pack when it comes to beating analyst earnings estimates. Since 2014, the divergence has gotten even more prominent. As of now, the rolling 3-month earnings beat rate for Tech stocks stands at 75%, while the beat rate for all stocks is just 60%. 7.Corporate Leverage is Close to Historical Highs. 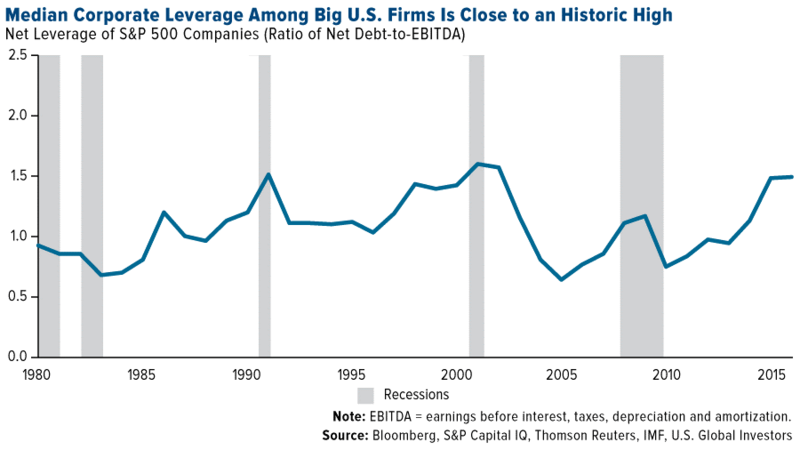 Indeed, as you can see below, median corporate leverage among the largest U.S. companies is nearing a record high as measured by debt-to EBITDA (earnings before interest, taxes, depreciation and amortization). 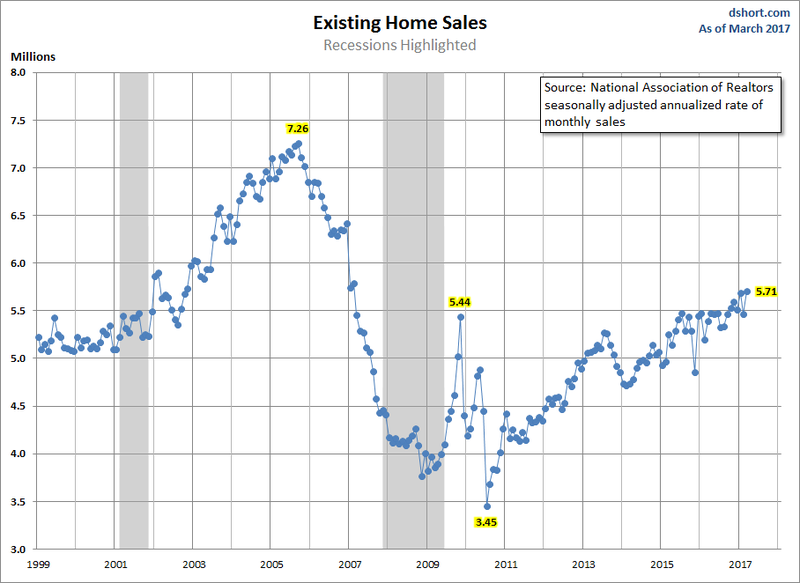 8.Existing Home Sales Back Above Pre-Great Recession Levels. For a longer-term perspective, here is a snapshot of the data series, which comes from the National Association of Realtors. The data since January 1999 was previously available in the St. Louis Fed’s FRED repository and is now only available from January 2013. It can be found here. 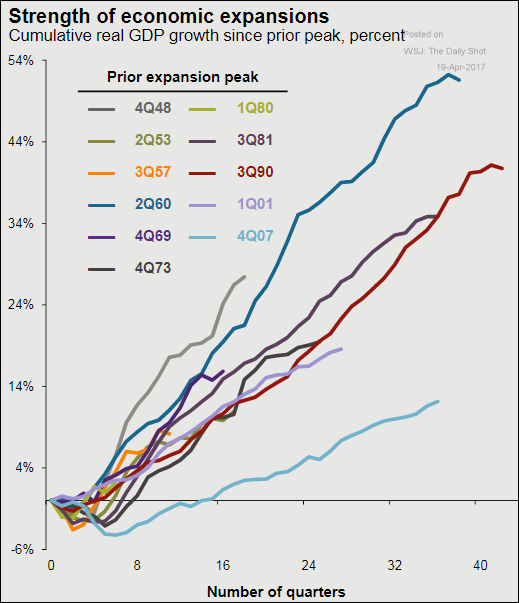 Over this time frame, we clearly see the Real Estate Bubble, which peaked in 2005 and then fell dramatically. Sales were volatile for the first year or so following the Great Recession. The latest estimate puts us back to levels reached before the recession. 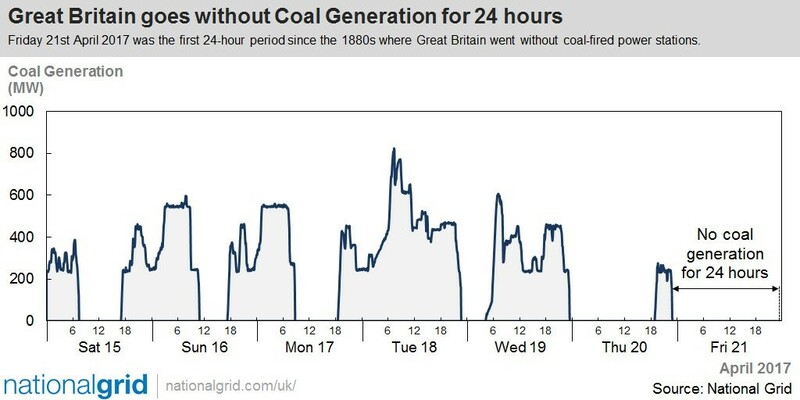 9.The First Day Without Coal in Britain Since the Industrial Revolution. The UK has had shorter coal-free periods in 2016 , as gas and renewables such as wind and solar play an increasing role in the power mix. The longest continuous period until now had been 19 hours – first achieved on a weekend last May, and matched on Thursday. A National Grid spokesman said the record low was a sign of things to come, with coal-free days becoming increasingly common as the polluting fuel is phased out. Coal has seen significant declines in recent years, accounting for just 9% of electricity generation in 2016, down from around 23% the year before, as coal plants closed or switched to burning biomass such as wood pellets. Britain’s last coal power station will be forced to close in 2025, as part of a government plan to phase out the fossil fuel to meet its climate change commitments. “Getting rid of coal from our energy mix is exciting and hugely important. But it’s not enough to achieve our international commitments to tackle climate change – we haven’t made anything like the same progress on decarbonising buildings and transport. Whoever forms the next government after the general election, they must prioritise a plan for reducing emissions from all sectors.” Redmond-King said. Britain became the first country to use coal for electricity when Thomas Edison opened the Holborn Viaduct power station in London in 1882. It was reported in the Observer at the time that “a hundred weight of coal properly used will yield 50 horse power for an hour.” And that each horse power “will supply at least a light equivalent to 150 candles”. Make your weaknesses your strengths. I was diagnosed with dyslexia at a young age, and in third and fourth grade, it was so severe that my teachers doubted that I would even go to college. However, with the help of special teachers and mentors, I learned how to think differently, enabling me to not only overcome the challenge of dyslexia, but to turn it into a strength in business. I can jump quickly from A to B to Z, making it easy to see the bigger picture even faster, identify opportunities and problems, and see how business propositions will play out from start to finish. In part because of my dyslexia, I faced challenges early in my career, like throwing up before speeches and losing my place when reading from scripts. I knew that I needed to take a different approach if I wanted to become an effective communicator and come up with a solution that worked for me like creating a mental outline. By doing this, I was able to develop public speaking into one of my strongest skills. 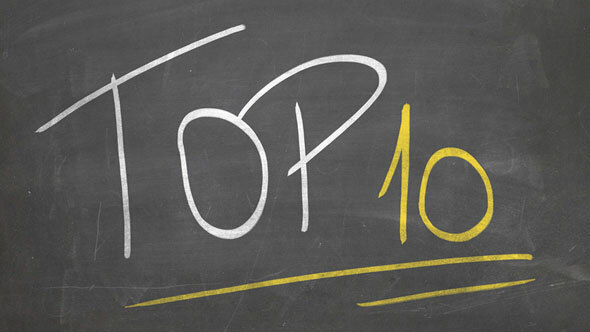 Now I am as comfortable speaking to 10,000 people as I am in a one-on-one conversation. These experiences have truly made me stronger and shaped the leader that I am today. We are products of our setbacks. Setbacks have taught me that if you don’t disrupt yourself and your business, you’ll get left behind. The technology industry has no hierarchy and no room for entitlement; the big fish have failed before and new disruptors have risen to not only beat out competitors, but change the direction of the market altogether. Overall, failure and lessons learned are an important part of success and how you win in the future. When you inevitably miss, course correct quickly. A failure that I often recall when discussing market transitions is our acquisition of Flip in 2009. Our mistake was that we fell in love with the product, not the architecture. We were outmaneuvered by Apple, and although it was difficult to accept, we knew that we had to listen to the market and cut the product. The reason we were able to remain a successful company is that we course correct quickly. While Flip is pointed to as one of our biggest failures in the grand scheme of things, this acquisition wasn’t in the top 20 in terms of cost. Without setbacks like this, while painful but necessary, we wouldn’t have learned to quickly shift strategies and stay close to trends in order to anticipate change. 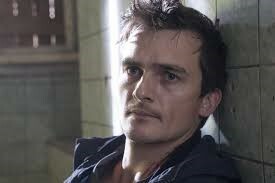 Insignificant moments have the potential to be big breaks. In my career, I’ve found moments that seemed at the time to be too small to be pivotal. For example, after receiving my MBA at Indiana University I was ready to hit the ground running in either finance or law and a friend suggested I work in sales at IBM, which didn’t appeal to me. After being enticed with tickets to a basketball game, I agreed to a conversation that shifted my perception of IBM from a geeky, tech company to a business helping customers transform for the next generation. 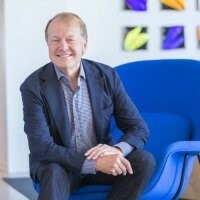 At the time, the decision to join the sales team and my subsequent growth within the company didn’t feel significant, but ended up being what sparked my love for technology and were the “big breaks” that led me to Cisco. Big breaks can happen when you least expect them, and more frequently they will stem from your setbacks rather than your successes. In today’s environment, if you aren’t being challenged constantly, you won’t survive, making the ability to learn from failures and quickly adapt more important than ever before. Change takes risk, and you have to be willing and ready for when opportunity presents itself.